Please select an option Iphone 6 Iphone 6 plus Iphone 7/8 Iphone 7/8 plus Iphone x Please select a Size. 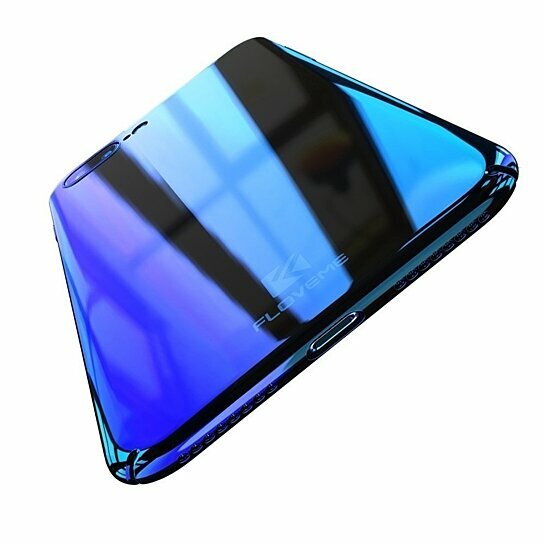 DOUBLE COLORS TECHNOLOGY - The combined technology of gradual change and optical plating, as the shinning case, one angle one color. PERFECT CUTOUTS - Specially designed for Apple iPhones, 6/7/8s or 6/7/8 Plus also iPhone X the case has precise cutouts for speakers, charging ports, audio ports, and buttons. PREMIUM MATERIAL- Made of high-quality Plating Frame with PC material, durable to use and touch feeling good. Protects your phone back and frame from fingerprints, scratches, dust, collisions, and abrasion. SLIM & SMOOTH - With Slim, light and comfortable protection without adding any bulky look to the phone. SIMPLE STRUCTURE - Easy to install and offers full protection for anti-scratch, shockproof and dirt proof. Hybrid Gradient Colors Simple hybrid colors make the phone looks striking, also provides more elegant and luxury look. With Slim, light and comfortable protection without adding any bulky look to the phone. The case will take on a different color depending on how the sun or light hits it.